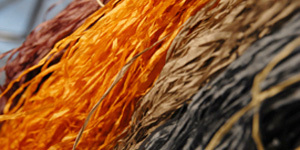 A diverse collection of textures, colors, and fibers are on hand to enhance your creative work. We specialize in natural fiber yarns available on cones and skeins that can be used for knitting, weaving, felting and mixed media fiber art. You will also find the supplies and equipment needed to make it and a selection of books and magazines to inspire you. 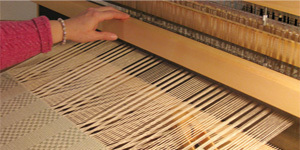 Fiberwood Studio offers a wide range of classes in Fiber Arts to broaden your textile skills. Introductory classes in knitting and weaving run throughout the year. Classes in felting, machine knitting, bookmaking, dyeing, mixed media, textile techniques in metal, creativity and design are just a few of the other special topics taught to stretch the boundaries and explore the possibilities in the journey from fibers to fabrics. If you are looking for unique and unusual designs for woven and knit textiles browse our collection of original patterns and kits. This month the Petal Pink Shibui Yarns are 30% off. Limited supplies, so shop early. On Valentines day we will have a “Pink Me” sale, with discounts on all things red and pink! 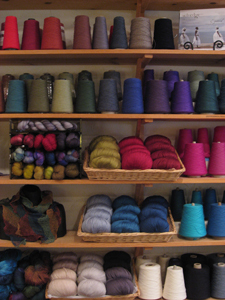 Fiberwood Studio is a specialty yarn store for anyone who loves fiber arts! The studio opened in 1999 in Milwaukee Wisconsin as a weaving yarn shop and production studio for owner, designer/weaver Barbara Chappell. 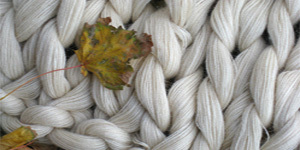 Yarns for knitting and crochet, fibers for felting and a full range of classes soon followed. The collections of textures and colors, inviting atmosphere and encouragement from our staff will be sure to inspire your creativity.